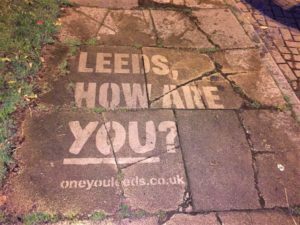 Finn has been appointed by Reed Momenta, the life and wellbeing programmes provider, to deliver a communications campaign for One You Leeds. Launching today, One You Leeds is a free local healthy living service developed by Public Health England (PHE) that aims to help the residents of Leeds make positive changes to their lifestyle and behaviour. Leeds is the first city in the North of England to adopt and localise the national programme. Finn will lead the awareness campaign of media partnerships, pop-up stunts, consumer research, guerrilla marketing and social media content, including video. Based in Leeds and London with 40 full-time staff, Finn has recently won works from Leeds City Council with the Leeds 2023 European Capital of Culture Bid, North Yorkshire Police, Leeds Community Foundation and Pension Geeks.